Training camps provide athletes with the opportunity to train in an environment that is different from where they would normally train. This gives you the opportunity to live, eat and sleep triathlon whilst taking you out of your comfort zone, training alongside other like-minded and enthusiastic athletes. Our camps are renowned for being challenging as you push not only your body but your mind to it’s limits and beyond. We also provide you with the support, inspiration, knowledge and motivation from coaches and fellow athletes that will allow you to reach limits you never thought possible! Taking part in a training camp is not only fun, but can also ensure you gain skills and knowledge to take your triathlon to the next level. 1. Camaraderie: There is nothing sweeter than surviving tough training days with friends and fellow athletes. 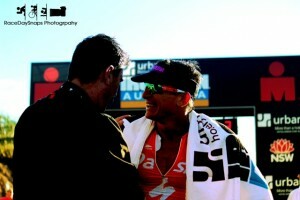 You share the highs and the lows and learn heaps from your fellow athletes. 2. Be a full-time athlete: There is no way to improve faster than to focus solely on training and recovery. Most of us can’t do this every week, so why not make the most of it! 4. Focused training without distractions: A training camp is like a get-a-way for athletes. You get to leave your regular lives behind for a few days and simply focus on nothing but triathlon. No meetings, no kids, no obligations. You just train and recover for the next day of training. 5. To draw on experiences: To draw on your experiences from a training camp is invaluable. When you race you can draw back on these tough challenges and push your mind and body further and harder during your racing.